Hello everyone, I hope you’re well. Today I wanted to bring back my style wish lists, because I don’t know about you, I’m forever browsing online looking for style inspiration, and seeing what’s fresh in a few of my favourite high street stores. Having a selection of shirts and blouses in plain neutral colours is a wardrobe must for me – to be dressed up or down, with a jacket or by themselves, they are always a safe bet. Midi Skirts are my favourite – I find them such a flattering length, and perfect to style in a number of ways. Whether denim, plain, or a statement print, I think they’re a great versatile piece to have as part of your spring collection. 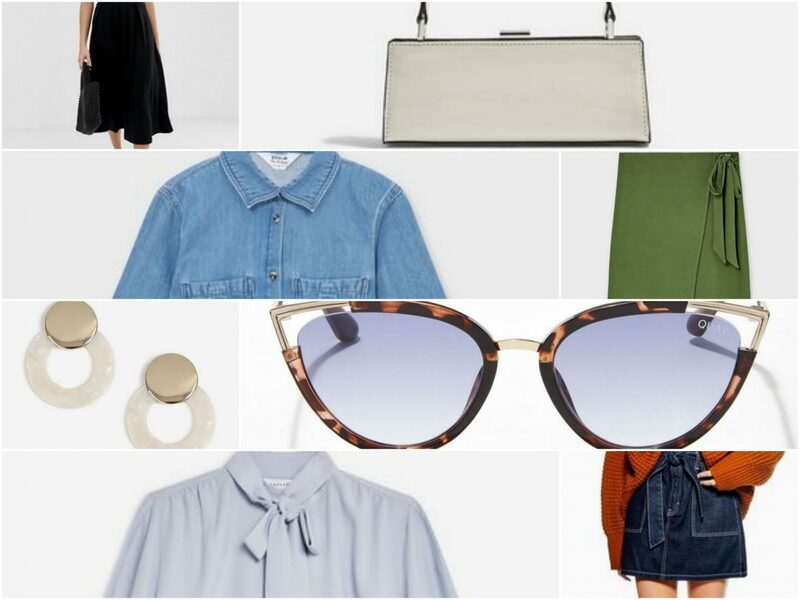 As for accessories, I love a pair of sunglasses, a pair of statement earrings, and a cute bag for Spring – just little extras to add to simple look. What’s on your current style wish list?